We recognise coaching football for children under the age of eleven presents its own unique set of challenges primarily due to developmental immaturity and growth spurts, short attention spans, less developed muscles and the UK weather! The Kiddikicks Training Method is based on realising real skills in a super-fun environment for all age groups. The childrens football training we offer engages children's imaginations and bodies, the foundation of which is enjoyment for all. We offer football for children in two distinct seasons - indoor and outdoor, all year round in 3 to 4 terms per year. In combination with Val Sabins internationally-renowned early years sports training, our classes have been designed to cater for the different skill levels of our age range 18 months to 11 years so every child can get the most out of their football coaching session. Our drills for children under 5 are tailored to their age-specific abilities and promote the development of individual skill rather than team skills which will come later. 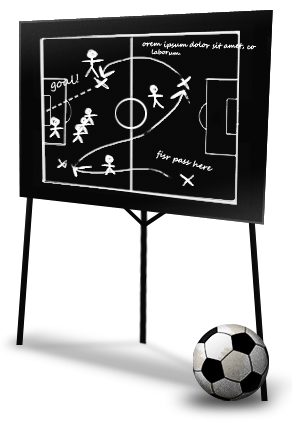 Each childrens football coaching session we provide is geared around touching the ball as many times as possible. Basic motor skills are practised with the emphasis on improving ball control, general movement and later speed and agility. But above all the emphasis is on fun for your child! All our coaches have been highly vetted and approved to coach football for children. As a matter of course we adhere to all Child Protection laws and guidelines, as well as Health and Safety. Our coaching teams have a first aid qualification and all coaches must successfully pass the relevant CRB / DBS checks. Kids love learning new skills, and through providing childrens football training, we introduce your child to new skills all the time which means they experience a huge sense of achievement and raised self-esteem, through praise and a sense of worth. If you would like this for your child simply register your details with us by going to our sign-up section.